My favourite sibling, brother Eric, who happens to be my only sibling, recommended the film Come Sunday a couple of weeks ago. Trusting his judgment without question I checked on Rotten Tomatoes where it got a splatty 64%, which is a big can of tomato sauce short of a stellar endorsement. We decided to give it at least a taste and it proved to be a worthwhile story, based on the actual life experience of a evangelical preacher turned pariah named Carlton Pearson. At the height of his popularity Pearson, who had been mentored by Oral Roberts, was the pastor of the Higher Dimensions Evangelistic Center, which was one of the largest churches in Tulsa, Oklahoma. During the 1990s, the congregation grew to an average attendance of over 6,000 and it was unusual in that Pearson's ministry attracted blacks and whites. The wheels began to come off for Pearson when he underwent a crisis of faith which changed the trajectory of his ministry. After years of preaching that those who accept Christ and receive salvation, setting them free from sin and the prospect of damnation, Pearson begins offering a message of universal acceptance. He is still a Christian but hell is no longer a part of his theology. In the film this epiphany, or apostasy, depending on perspective, occurs when he is alone in a hotel room watching the genocide in Rwanda unfold. How could God consign to hell those children who are brutally murdered never having heard the Gospel. From a more personal perspective he wonders about a beloved uncle who never accepts Christ before his death and therefore will spend eternity in hell. Pearson can no longer accept this outcome as the intention of a loving God and as a result his "successful" ministry goes into free-fall. In our teens Eric (did I mention he's my favourite brother? ), wife Ruth and I all embraced evangelical Christianity. The people who welcomed us in were accepting and the Christ they spoke about was loving. But for a number of reasons, including the "small print" of hell, we headed in other directions. Through my years of ministry I might have preached about hell two or three times, and never with a fire and brimstone approach. Is there a hell? Where do child-molesters and mass murderers and those who use leaf-blowers go after this life? Jesus didn't talk about hell much and when he did it seemed to be the eternal address for the spiritually arrogant and those without compassion. What I know is that this will be God's decision, not mine, and nowhere in scripture am I appointed judge and jury. 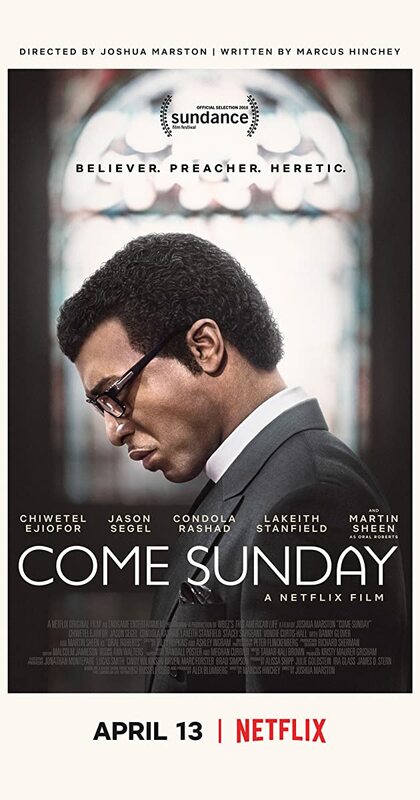 Come Sunday is worth watching and the acting of Chiwetel Ejiofor (Twelve Years a Slave) gives life to a film which might be mundane otherwise. It deserves better than 64%. What the hell are you thinking? Do you assume there is a place of eternal damnation? Have your convictions about hell changed over time? Would you like to send me there for asking so many questions? 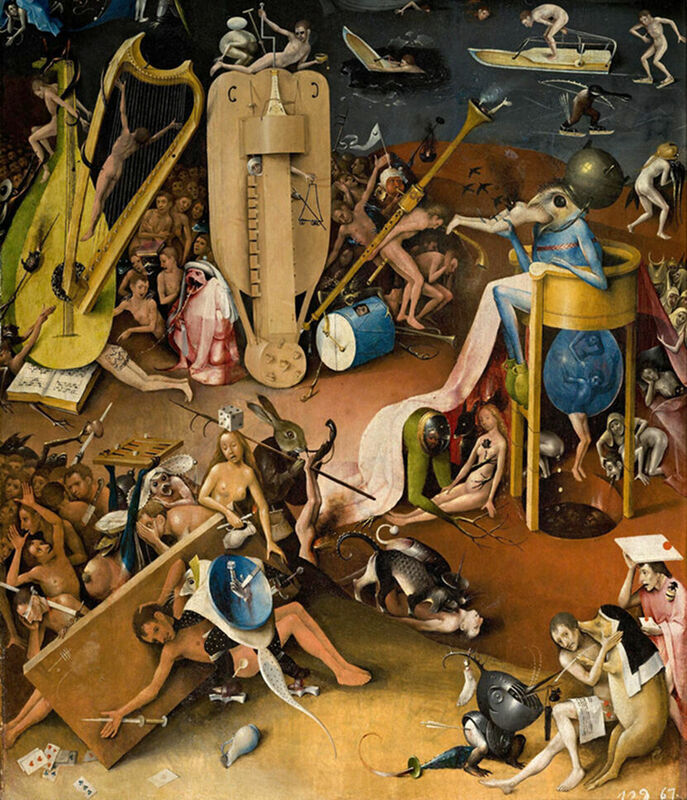 Hieronymus Bosch The Prince Of Hell. not sure if there is hell? What I'm hopeful of, is that the creator doesn't buy in to a 20th century North American way of looking at life for eternity in one location or another. My guess is that all will be dealt with, hopefully, in a benevolent creator way, with a lot more information available than what we have. Good thoughts. And I'm relieved that you didn't comment that I'm NOT your favourite bro. who could have a better brother? Not me!